Microblading is the new buzz around town! You hear people getting the procedure, left and right and you start to wonder if you should too! But how do you know if you are a good candidate? Well, luckily, it doesn’t take much to be a good microblading candidate. First off, if you’ve never had any previous brow tattoos, you’re already a step ahead. Starting with a clean canvas makes it so much easier for your artist to give you that natural “hair stroke” look. “But I already have full brows, I just want to add a little bit in some areas.” That’s fine too! Microblading doesn’t mean to make your brows more dramatic or to fully add/ change your whole look. Even people with full brows can get microblading. This will actually enhance your brows, giving them more shape, color and life! Now that we know what microblading can do, let’s talk about who is a good candidate and who can truly benefit from microblading. If you fall under one or more categories, it’s a good idea to call your favorite microblader for an appointment. All of these categories make you an absolutely great candidate for microblading but also keep in mind, skin type is a factor in microblading. If you have large pores, oily skin, previous brow tattoos, or mature skin, it may be a little more challenging to get microblading. Now, this doesn’t mean you can’t receive the procedure but it may take a session or 2 more than others. 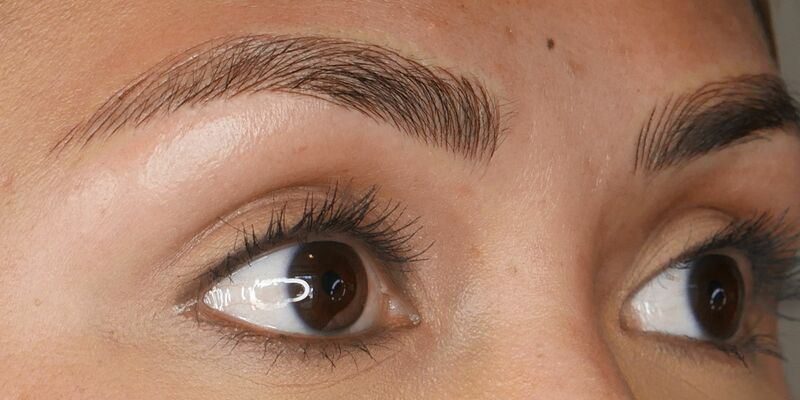 Regardless, microblading is a great option for those wanting a natural look that they weren’t able to achieve before! It really is exciting to see what it can do for most people and there’s no doubt it will only get better! So if you fell under any of the “good candidate” descriptions, pick up your phone and schedule your life changing appointment!